All the latest Football NEWZ & gossip for you to have your say! The SoccerStarz Premiership is back!! Liga ZON Sagres Champions, Sport Lisboa e Benfica commemorated with SoccerStarz Celebration Pack! Ballon d’Or – and the winner is…….. Cristiano Ronaldo. What’s the Mata with Mourinho and De Bruyne? The talk of Januzaj for England has hints of desperation. The Champions League nears final stages tonight…. The AFC Champions League that is. Shinji Kagawa is the answer to Manchester United’s creativity problems? European club football could do with a major overhaul. Over inflated and uninteresting to watch, the Europa League needs a change. The Champions League as good as it is, can at times been relatively predictable and is full of “non-champions” battling it out to be Europe’s best. It has also help the bigger clubs get better, and the smaller nations and smaller clubs become far detached for the super heavyweights of the European game. What UEFA need to do, is have a complete re-shuffle when it comes to continental club football. The need to make the Europa League ‘relevant’ again should be top of UEFA’s agenda. Using the final season of the Cup Winners Cup as an example, the weeks football was set out in the following way. the UEFA Cup was a Tuesday night, Champions League on a Wednesday and Cup Winners Cup on a Thursday. So not majorly different to the set up of current. 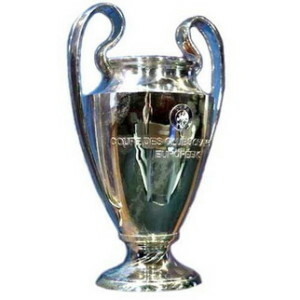 The Champions League consisted of 24 teams back then, (teams finishing in second in England, Spain, Italy and Germany were allowed entry to the qualification stages), as they had just expanded from the previous season. Each group winner qualified whilst, the two best runners up also went through to the quarter finals. It did not warrant two game days a week. So just imagine if it were to revert to a format of old, reducing the amount of qualifiers from each nation to just one, and then all teams finishing in second play would enter the UEFA Cup. The Cup winners of each country would enter the re-formed Cup Winners Cup. Now, the UEFA Cup and CWC would both be straight knockout, as they were before. The Champions League would still consist of a group stage and would then enter knockout rounds. Had this format been in play this year, Real Madrid, Manchester City, Marseille, Napoli and Benfica, (Borussia Dortmund, would be granted entry, due to Bayern winning both the Bundesliga and as holders of the Champions League, get automatic qualification), all of whom, finished second in their respective leagues would have been playing in the UEFA Cup on a Tuesday night. 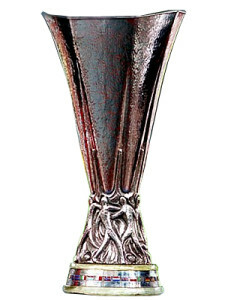 Already, the UEFA Cup looks a better proposition than it currently is. The reformation of the CWC would give much more meaning to tournaments like the FA Cup and the Copa Del Rey. As has been seen in England, finishing in 4th place is now a bigger achievement that winning the FA Cup. Talk of a 64 team Champions League, where up to seven teams could qualify from the Premier League is utter ludicrous. How then could they possibly call it a “Champions League”? 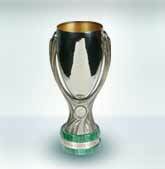 The change could also have a positive effect on the UEFA Super Cup. When the CWC was around, the winners of that would face the Champions League winners. Well, why not have the CWC play the UEFA Cup winners in a playoff to see who would progress to the Super Cup Final to face the winners of the Champions League? Whilst the likeliness of the Cup Winners Cup returning is extremely bleak, it would re-invigorate European football and would bring back meaning to qualifying for the Champions League by actually being “Champions”. © 2012-2014 Creative Toys Company. SoccerStarz® is a registered trademark of Creative Distribution Ltd.